Leaders from Britain, the United States, France and China -- along with Russia, the permanent members of the U.N. Security Council -- have all visited India in the last six months, securing contracts worth a total of around $50 billion. -- A Reuters report today from New Delhi, where Dmitry Medvedev, President of one of the P-5 countries listed in the snippet, declared Russia's support for giving India a permanent seat on the Security Council of the United Nations. 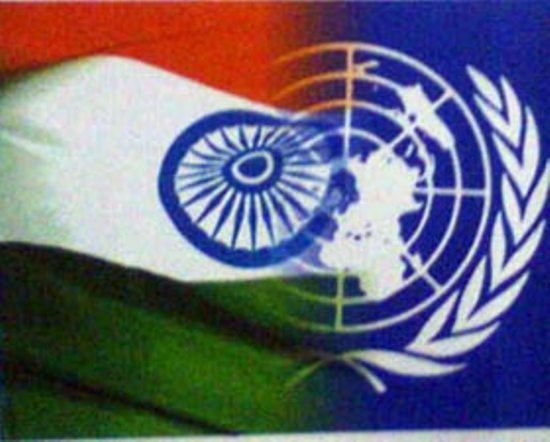 (image credit) Medvedev's announcement follows the New Delhi statement earlier this month, when President Nicolas Sarkozy said France too now supports adding India as a "P-6" -- not to mention President Barack Obama's announcement in November, as we then posted, that "a reformed U.N. Security Council that includes India as a permanent member" is the United States' goal as well. The lining up of these ducks in a row makes for a fascinating study in politico-market emergence.